Summer is here and we bet you are ready to hit the road on an epic adventure. It’s typical to plan every aspect of your trip beforehand but what about vehicle maintenance? Vehicle maintenance will typically take the back seat to any road trip plans, when in actuality it should be one of the first things to consider. The last thing you’d want is your epic adventure delayed because of car troubles, right? • Engine oil: Check your oil levels and the date you’re due for an oil change, preferably in your driveway before you embark on that first leg. If you’re close to the recommended oil-change listed then change it or schedule to get it changed with us. • Transmission and differential fluids: Did you forget about the other oil reservoirs in your car? Both your transmission and drive axle have their own lubricant supply. Check your owner’s manual for their change intervals, as they are quite a bit longer than engine oil. Our service center can handle this greasy job. • Hoses: Make sure there are no cracks, hoses would last 10 years if all they did were sit on a shelf. In a car, they are regularly exposed to temperatures. At high temps, the plasticizers that make rubber squishy go out at a faster rate. Once a hose gets hard, it cracks and you wouldn’t want hot water spewing out. • Belts: Check the engine belts by turning them sideways with your hand so you can see the friction surface. If they’re at all ragged, torn, cracked or showing the fiber cords, it’s time for fresh ones. • Tire pressure and tread: Tires are your contact with the road, and since losing contact generally results in a not so good outcome, we recommend making sure your tires still have a good amount of tread left. While you’re at it, be sure to check the pressure of each tire on your vehicle. • Brake system: As brake fluid ages, it turns the color of maple syrup and begins rusting your brake components. Check your brake reservoir for the color of the fluid, and make sure that it is topped up to the “full” mark. • Battery: If the battery in your car is more than a couple years old, check that the terminals are corrosion-free and the positive and negative leads are tight. If your starter sounds sluggish, it’s either corrosion or a dying battery. Don’t wait to be stranded with a dead battery. Completed the maintenance yourself? Do a quick run on your local freeway to listen for noises, feel for shakes, and watch for trouble signs in the gauges. Is car maintenance not your thing? 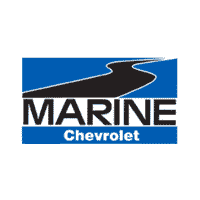 Remember you can bring your vehicle in to our GM Certified Service Center and we’ll take care of everything for you. After all, we want to ensure that you have a safe and worry-free road trip!